One of my favourite things to do in the lead up to Christmas is to have some fun in the kitchen with my kids. 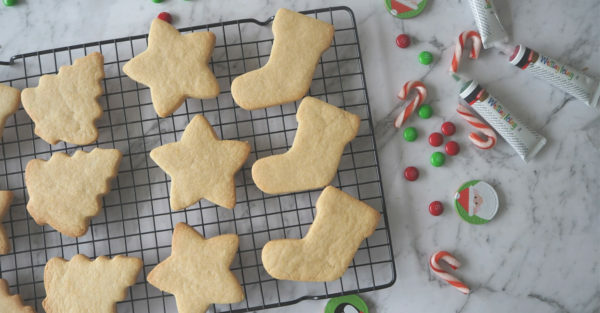 This Christmas cut-out biscuits recipe is perfect to make with your little helpers and they will also have a ball decorating the biscuits. 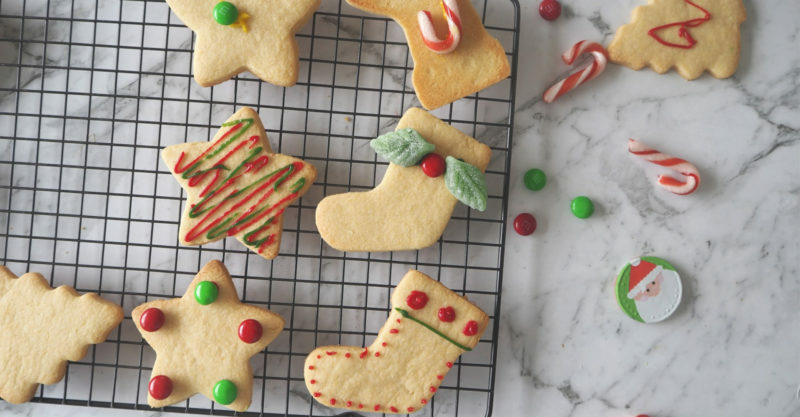 You can use whatever type of lollies or icing you like to decorate these Christmas cut-out biscuits, we like to use ‘writing icing’ (which you can get from the baking aisle at the supermarket) along with candy canes and red and green M&M’s. Once decorated, you can store these biscuits in an airtight container for up to five days. 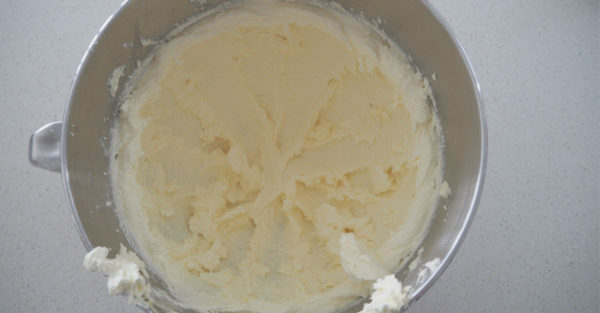 Place the softened butter, caster sugar and vanilla extract into the bowl of an electric mixer and mix on a medium-high speed for 4 minutes, or until the mixture is pale and creamy. 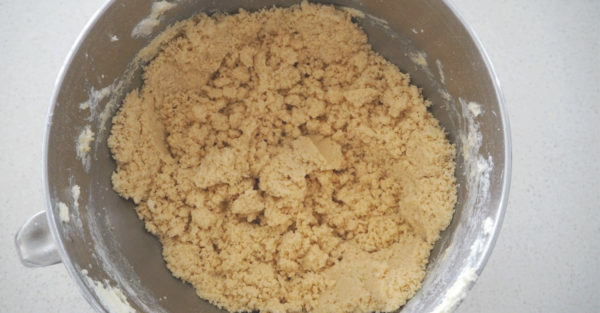 Add the flour, egg and extra egg yolk and beat on a low speed until a dough begins to form. 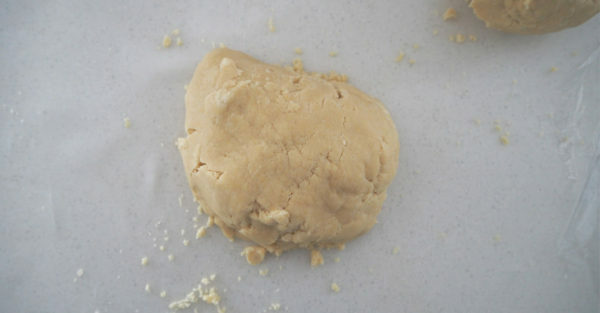 Transfer the dough to a lightly floured bench and use your hands to bring it together (don’t worry, it will be crumbly) and lightly knead into a smooth ball. Cover in cling wrap and pop into the fridge for 30 minutes to chill. Preheat your oven to 180°C fan forced. 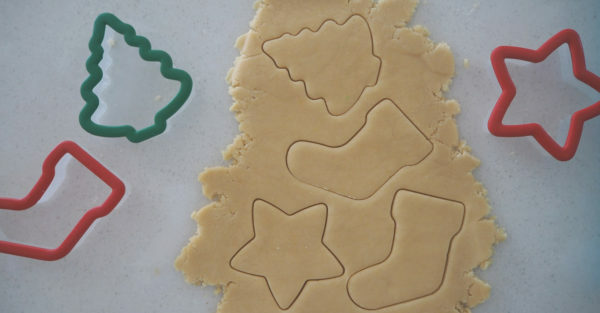 Roll out dough (thickness of 5mm) between two sheets of baking paper and using your choice of a cookie cutter, cut out shapes and place onto your prepared trays. Bake in the oven for 10-12 minutes or until the biscuits begin to turn golden around the edges. Leave the biscuits to cool on the trays for 10 minutes before carefully transferring to a wire rack to cool completely. Once completely cool, use the icing and decorations to decorate as desired.